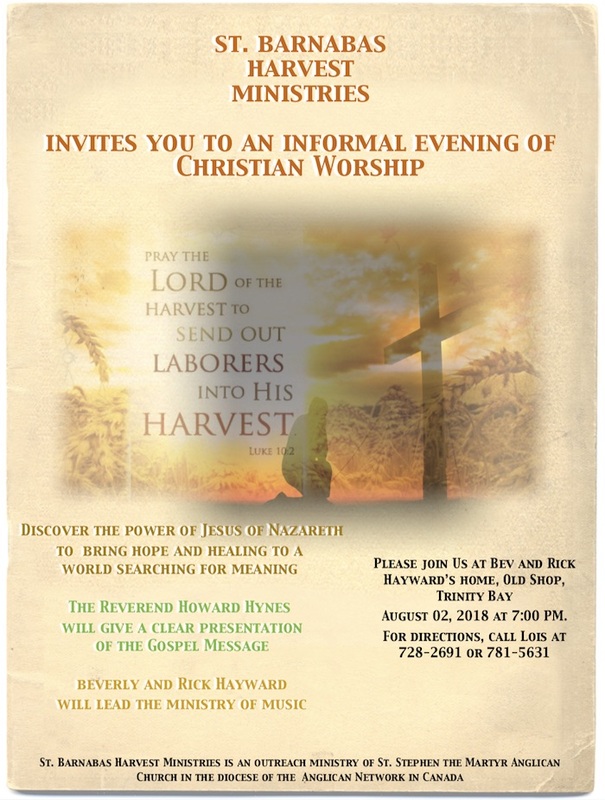 Join us on August 2nd, 2018 from 7 – 9 PM for an Evening of Christian Worship at the Home of Rick and Beverly Hayward in Old Shop, Trinity Bay. For more information call Rev. Howard Hynes at 709-691-2733 or Lois at 709-781-5631.